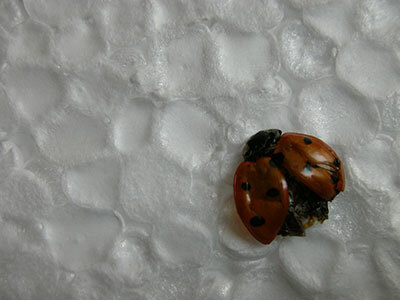 I will transport a jar containing Ladybugs, coccinèlla septempunctáta, from Viborg (DK) to Berlin (DE). At the exhibition the jar will stand on the ground and people will be able to pick it up and observe the ladybugs. As a performance, I will open the jar so that the Ladybugs can fly out into the German flora. Louise Schrader was born in Skanderborg (DK) in 1978. She lives and works in Berlin (DE) and is a student at Funen Art Academy in Denmark (2002-2008).